Have you been denied life insurance? 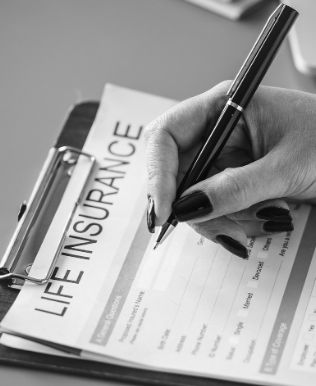 It can be tough to learn that the insurance company you applied at isn’t willing to give you life insurance, but it’s not the end of the road. There are several actions you can take, such as applying to a different insurance company or changing the type of policy you applied for. What you don’t want to do is throw in the towel and not carry life insurance. Here are the steps you can take if you are denied life insurance. It is your right to find out why the insurance company denied your request. Find out why your application was denied, especially if you were expecting an approval. It’s possible that the insurance company knows something that you don’t. Typically, insurance companies gather a lot of data to evaluate your risk. If you have a high risk, you are either rated, postponed or denied. It’s possible that the insurance company denied you because of your medical history or recent lab reports. Even small things like having a skydiving hobby can get you denied, as these things may increase your chances of premature death. Insurance companies make mistakes, so it’s important to confirm what the insurance company found. Make sure the data given to the underwriter is complete and accurate. If you do have unclear tests that came back, talk to your doctor to confirm. It’s happened before where an insurance company denied life insurance because of undiagnosed lab results, even though they weren’t a cause for concern. It’s also possible that the underwriter doesn’t have enough information to assess your risk profile. Again, find out why your application was denied and what you can do to build a better profile. It’s possible that the company you applied to isn’t the right fit. Talk to your insurance agent, though it’s likely that they will contact you first. Usually, insurance companies send a letter to the insurance broker first, and then to the customer. Your insurance agent can help you strategize on the next steps for obtaining a life insurance policy. Fortunately, you can apply for life insurance through other companies and even reuse your medical exam to speed up the process. Everyone should have life insurance. If you are looking for a life insurance policy, even if you have been recently denied, contact Soden Agency. Protect your loved ones and start building a source of savings today.